Ralph Nelson Elliot (1871-1948), the creator of Elliot Waves had a successful career as financial consultant to a number of railroad companies. A sector which was undergoing a resurgence during his early professional career, considered an expert in business planning Elliot’s services were in high demand. Which led to the US government sending Elliot to Nicaragua as an economic consultant where he was in part responsible for reorganizing the country’s finances. It is said that one of his greatest talents was a shrewd eye for detail. Elliot, then turned his meticulous eye for detail on decades of market charts. It was then that Elliot felt he had discovered a persistent and recurring pattern, that occurred between market tops and bottoms. These patterns which he described as Waves, were a collective expression of investor sentiment and gave markets a very particular form of behavior. Elliot contended that through the use of measurements which he called wave counting, it would be possible for analyst or investor to predict turns in market prices with a high degree of accuracy. Elliot then preceded to test his theory over the next four years, before organizing his research into the 1938 essay entitled ‘The Wave Principle’. Published with the assistance of Charles Collins then a respected newsletter publisher, who did much to help popularize Elliot’s Wave analysis in the early years. By the early 1940’s, Elliot had fully developed his theory that the ebbs and flows of human emotions and activities follow a natural progression, being actively governed by certain laws of nature. He tied these collective patterns of human behavior both to Fibonacci numbers and the Golden Ratio, both mathematical phenomena which had been observed in nature for centuries. In 1946, Elliot published his definitive work ‘Natures Law: The Secret of the Universe’. This rather grandly titled book contains almost every thought that Elliot ever had regarding his Wave principle, with the first 1000 copies of the book selling out to various individuals in the New York finance community. Elliot Waves and the Wave principle are something that is still actively used by traders today, being particularly popular with traders based in Eastern Bloc countries. Wave 1 is greater than Wave 2. Wave 2 is smaller than Wave 3. Wave 4 is both smaller than Wave 3 & 5. Wave A is greater in size than Wave B. Wave B is smaller in size than Wave C.
Elliot went on to identify several other wave patterns (including the zigzag, triangles, flats etc. 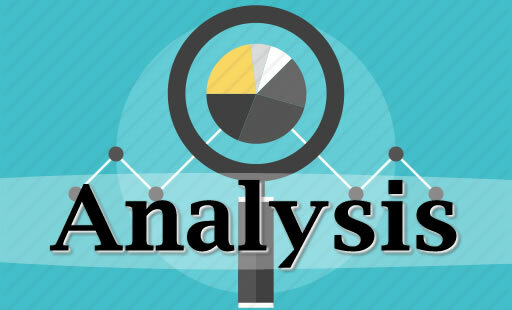 ), however it is generally held that the corrective and impulse patterns are the most important when analyzing trends. One of the main tenets of Wave theory is that certain herd psychology governs each Wave, which is what makes Wave theory a reliable indicator of price direction. Wave 1: The market takes an initial move upwards. This initial move is usually caused by a relatively small number of people who decide that the particular instrument is undervalued etc. For instance in the case of Stock trading a number of traders may have identified that the Stock is cheap. Wave 2: It is at this point that a number of people involved in the first Wave, feel that the instrument is becoming overvalued and thus take the profits they have made. This causes the instrument to fall in price, however the price will not fall to it’s previous lows before more traders decide to jump on the bandwagon. Wave 3: Is typically meant to the longest and strongest wave. 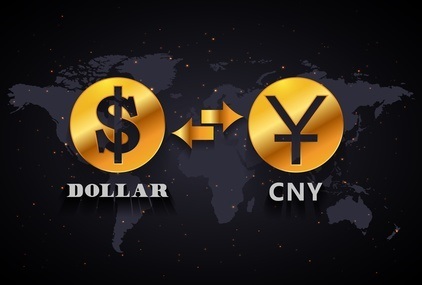 With the performance of the particular instrument having caught the attention of the larger trader community, meaning that many traders and investors go out and buy up the instrument. This Wave typically exceeds the peak achieved in Wave 1. Wave 4: People again decide to take their profits again causing a fall in the instruments value. This Wave tends to be quite weak, as the performance of the instrument during the impulse trend has led to a large number of traders to remain bullish regarding the instruments prospects. Wave 5: This is the Wave most driven by hysteria. This is when the instrument typically becomes the most overpriced, often leading to a corrective pattern to follow soon after. When contrarian traders identify a good opportunity to short the particular instrument. 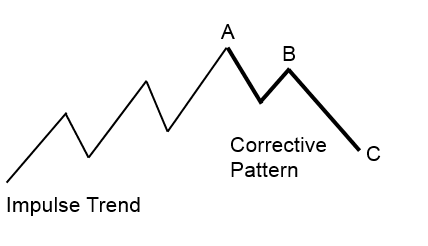 The motive or impulse phase contains five waves, if the general trend direction is upwards we have a bull market and if the instrument is trending downwards we have a bear market. The first wave as stated above is generally quite tentative with only a small number of traders participating. 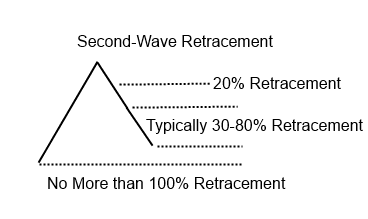 The rules laid out by Elliot state that the second wave must retrace the first wave by at least 20 percent, but the retracement is often between 30-80%. It is also claimed that volatility and volume generally decline during the second wave. Wave three begins slowly with light to low volume, and as it finally pushes towards the end of the first wave. 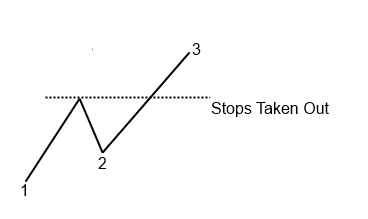 Many traders have placed stops around this level, thinking that the move is unsustainable. However when the third wave approaches the peak of the first wave many of these stops will be taken out, creating a gap and an increase in volume. Some of the traders that were previously skeptical of the move, now join in taking long positions in the instrument. The fourth wave begins when traders who have profited from the powerful third wave start taking their profits. Meaning that the fourth wave exhibits an orderly profit taking decline. With the fifth wave beginning when traders who are not convinced that the trend has ended buy into the dip. This fifth wave rally is generally weaker and has significantly less volume than the third wave volume. As buying interest begins to fade, we are likely to witness a corrective phase. Elliot himself proposed that Waves exist at many levels, meaning that it is possible for their to be shorter terms waves within a more general Wave. Thus bigger trends can be broken down into smaller wave trends and this idea is often used when Elliot Wave analysis is applied by Forex traders etc. The concept of waves within other waves can be traced back to Charles Dow, who believed their were three levels of Wave composition. 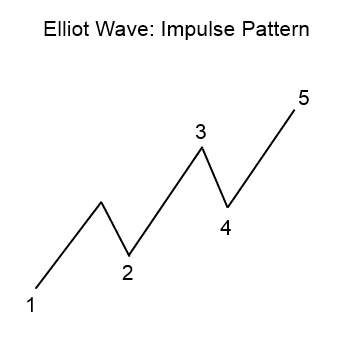 The idea of a waves within a wave, illustrates how Elliot Waves can be used for different trading timescales meaning that they analysis can be used by both short term and longer term traders.